This is free Wang you don't want to miss out on. GOG.com is celebrating its 10th anniversary, and that means there's a free game up for grabs right now. From now until Sunday, October 6, you can head over to GOG and pick up Shadow Warrior 2, which won the previous community vote for which game would become free, right now. 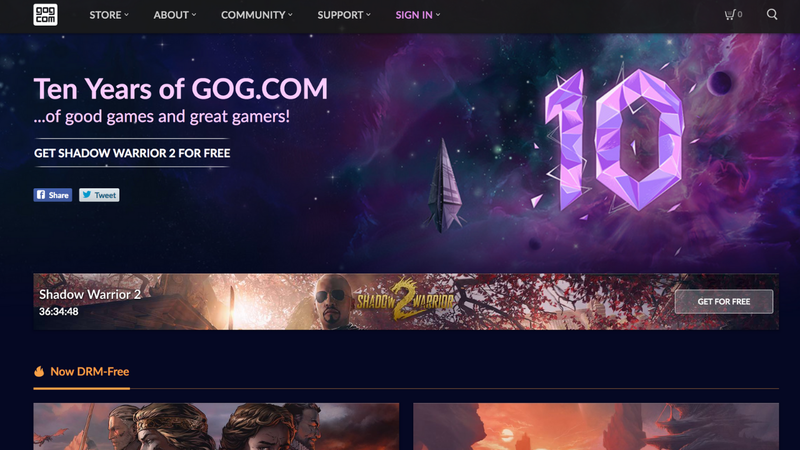 It's located on the front page of the site, and all you need to do is click on the game banner there to redeem the game and add it to your GOG collection. 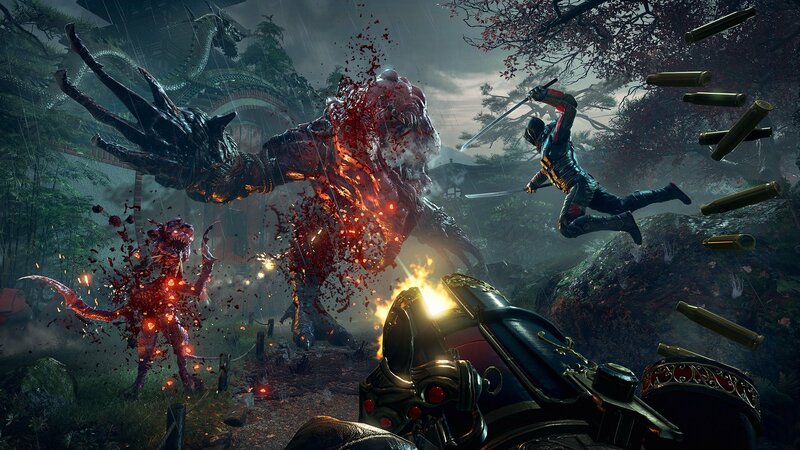 Shadow Warrior 2 was chosen out of Firewatch and SUPERHOT, so fans are keen on checking out this Wang-tastic shooter with plenty of blood to go around. The next 48 hours are important if you want to make sure you pick it up, but there are also some collections of games on sale you can check out, too. You can get the Timeless Essentials pack with Theme Hospital, Dungeon Keeper 2, System Shock 2, and Another World for $5, The Art of Aging Gracefully pack with Homeworld Remastered, Owlboy, and Dragon Age: Origins for $10, and The Modern Classics with Kingdom Come: Deliverance, Battle Chasers: Nightwar, and Shadow Tactics: Blades of the Shogun for $25. There's a lot of cool stuff happening for GOG's 10th anniversary, so make sure you head over to the site and check out what's on offer. But most importantly, get you some good Wang.